How many times have you tried to erase a word or two while typing away on your Mac and repetitively hit your ‘Delete’ key? All the time, right? It’s almost like an autonomic gesture… where you barely think about it. But have you ever tapped the wrong key and somehow disabled your keyboard? In fact, it happens to me every six months or so. That’s just long enough to forget the fix. And it’s impossible to Google the ‘problem,’ because you’re keyboard is frozen! Your keyboard should come back to life. It all has to do with an accessibility feature called ‘Mouse Keys’ which turns your keyboard off and morphs it into a pointer controller. I often tap the ‘X’ key a few times as a placeholder for something I intend to write later. 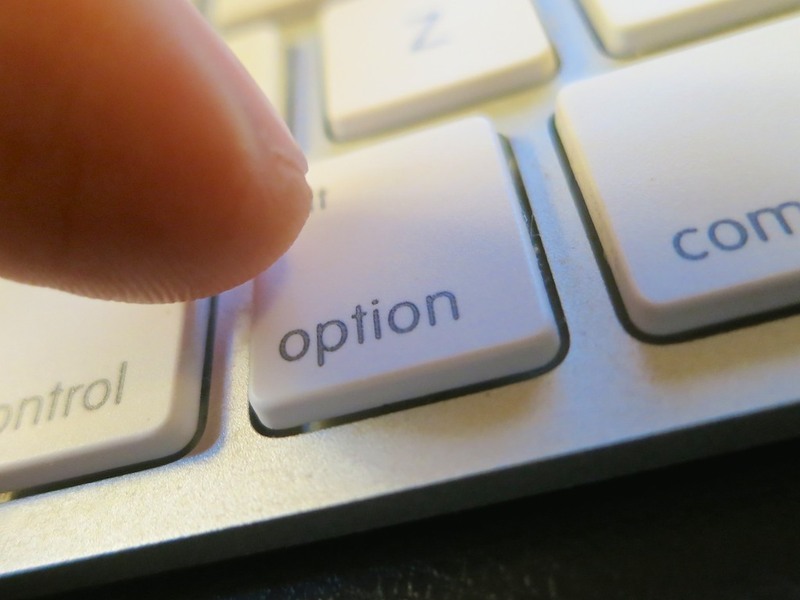 If you look down at your keyboard, you’ll see that the Option key is rather close to the ‘X’… perfectly positioned to receive your slightly misaligned finger. Apple has posted these instructions. A big clue you’ve made this infuriating mistake is an audio effect that announces Mouse Keys has just been enabled. So the next time you hear the chuckle of a computerized rodent, you shouldn’t be confused why your Mac has suddenly stopped working. No, it isn’t frozen with fear.